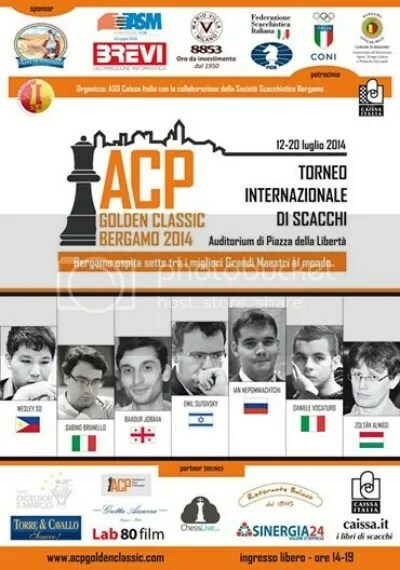 Carlsen, Caruana, Anand, Giri, So, Kramnik, Vachier-Lagrave, Mamedyarov, Adams & Mamedov. 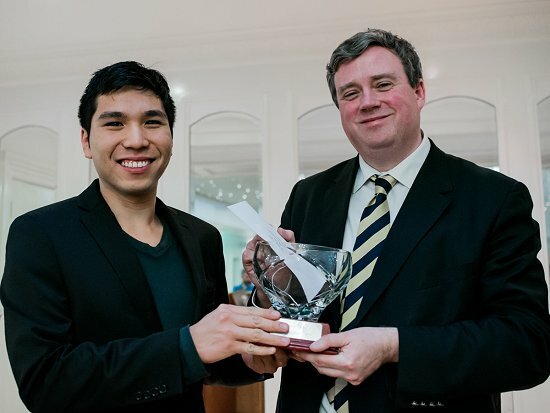 Wesley So Wins 2015 Bunratty Masters 5.0/6 (+4=2) points. He also won the Blitz event. Prizes Open Section: $10000-5000-2500-1200-1000-800-600-500-400-400, clear winner or 1st on tiebreak bonus $200, top FIDE Under 2500/Unr $2400-1200. FIDE rated, GM & IM norms possible. Source: as relayed by GM Wesley So @ FB. The decision has been made. 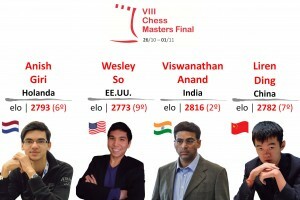 Webster University students Wesley So, Le Quang Liem, Ray Robson, and Ashwin Jayaram will compete in Millionaire Open Chess in Las Vegas next month. 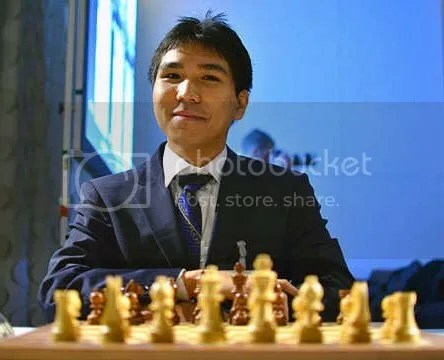 Participants are GM Wesley So (PHI); GM Baadur Jovava (GEO); GM Ian Nepomniachtchi (RUS); GM Zoltan Almasi (HUN); GM Emil Sutovsky (ISR) – who is also the President of the ACP –; and Italian GMs Sabino Brunello and Daniele Vocaturo, number 2 and 3 in the Italian ranking. 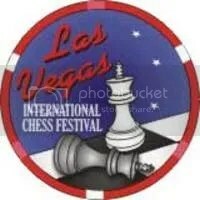 Participants: Ivanchuk, So, Bruzon, Kovalyov, Krush & more. 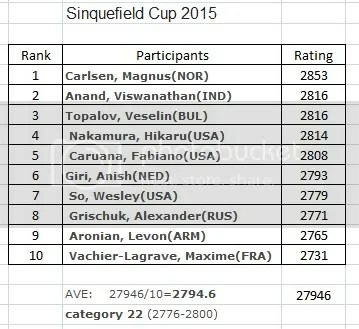 Susan Polgar: Wesley is now officially ranked #18 in the world. 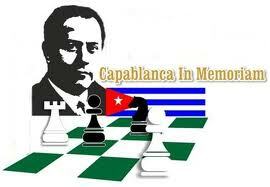 He has also accepted the invitation to category 19-20 Capablanca Memorial. 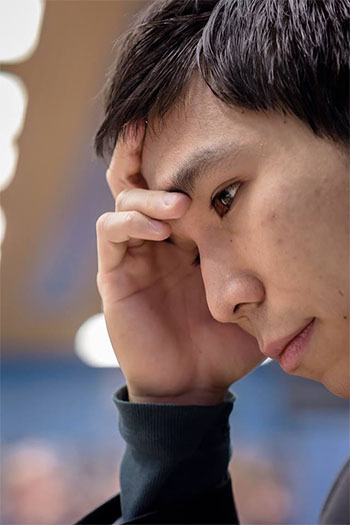 see results: Wesley So wins 49th Capablanca Memorial in Havana. Featuring: GM Wesley So, GM Fidel Corrales, GM Georg Meier, GM Alejandro Ramirez, GM Anatoly Bykhovsky, GM Manuel Leon Hoyos, GM Ben Finegold and more! The President’s Cup (informally known as the Final Four of College Chess), that usually takes place in the first weekend of April. Webster University dominated the 2013 Pan-American Intercollegiate Team Chess Championship, held Dec. 27-30 at Texas Tech University as Top qualifier for the President’s Cup. 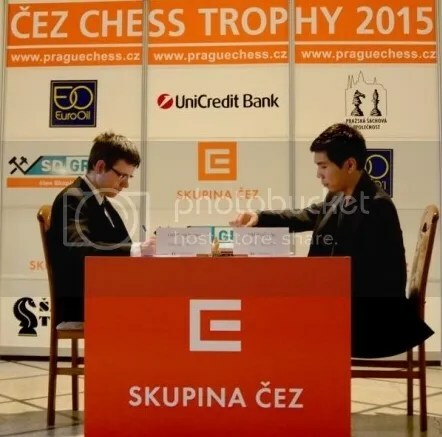 The Tata Steel Chess Tournament has two main tournaments. They are played according to the ’round robin’ system, whereby each competitor plays in turn against every other during the tournament. 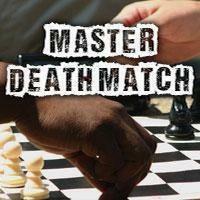 The Grandmaster group A has 12 players and the Grandmaster group B has 14 players. Both groups start on January 11th 2014. All rounds in Wijk aan Zee begin at 13.30 hours, except for the last round on January 26th, which begins at 12.00 hours. The two rounds in Amsterdam and Eindhoven start at 14:00 hours. Welcome to the 6th Calgary International Chess Classic. As usual, GM and IM norms will be possible in the International section. This tournament provides an excellent opportunity for players seeking norms. IM norms have been awarded in 4 of the 5 previous tournaments here in Calgary. The tournament is shaping up to be the strongest in its history. Above left is GM Robin Van Kampen (2592 FIDE) from the Netherlands. Centre is Calgary’s own GM Eric Hansen (2557 FIDE). On the right is GM Wesley So (2701 FIDE, the first ever 2700+ player to play in Calgary!) of the Philippines. All 3 are under 25 and on their way up the chess ladder. Norm hunters will have their work cut out for them as this will not be a walk in the park! 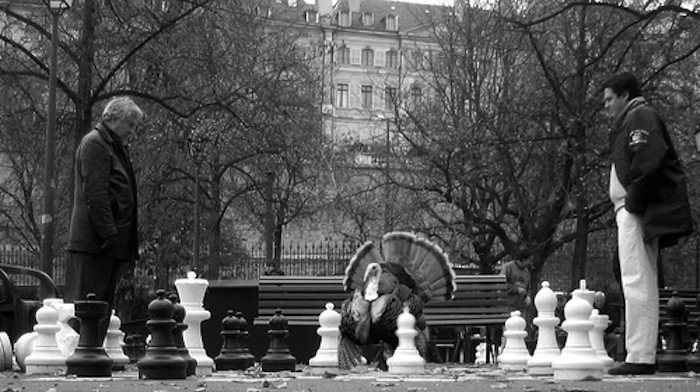 The top boards of the International section will also be broadcast live to a chess hungry audience around the world. Reykjavik, Iceland scheduled 19-27 February 2013. 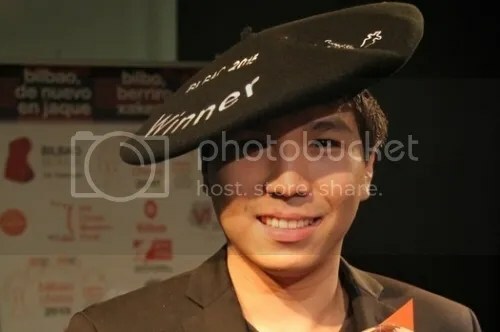 Webster University freshman GM Wesley So, who recently played board 1 for the Webster A team at the 2012 PanAm Collegiate Championship, has agreed to participate in the Zone 3.3 Zonal Championships 2013. The event will take place from January 21 – 30, 2013 in Tagaytay City, Philippines. The top 2 finishers will earn a berth in the World Cup in Tromso, Norway, in August. 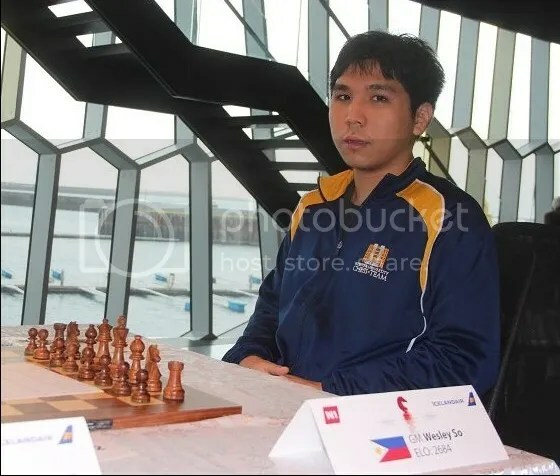 Rnds 10: GMs Pavel Eljanov, Wesley So and Bassem Amin Wins Reykjavik 2013. Princeton University 6SS, G/90 + 30 sec Increment. Frick Chemistry Laboratory, Princeton University, Princeton, NJ 08540. Intercollegiate Tournament Format: 4 Player Teams, up to 2 Alternates. Open to college teams from North and South America, and the Caribbean. Teams must supply letter from University stating that the players meet eligibility requirements. Here are the tentative lineups for the 3 teams from Webster University (pending minor changes after the official December 2012 rating list is published). SAINT LOUIS (October 31, 2012) — Grandmaster Wesley So of the Philippines and Grandmaster Georg Meier of Germany headline the strongest field in the history of the Thanksgiving Open, scheduled to be held at the Chess Club and Scholastic Center of Saint Louis November 23-25. This FIDE-rated event features a guaranteed prize fund of more than $10,000. Players are not allowed to offer a draw. 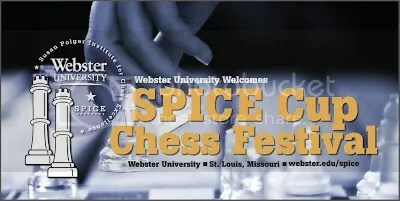 This month Webster University and the Susan Polgar Institute for Chess Excellence (SPICE) will bring six of the best chess players in the world — including two Webster students — to Webster’s home campus. 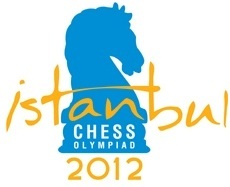 They’ll be competing in the 2012 SPICE Cup Invitational, the highest-rated chess tournament of its kind in U.S. history. The tourney kicks off with a free and open-to-the-public Welcome Ceremony at 1 p.m. on Friday, Oct. 12, in Room 102 of Webster’s East Academic Building, 545 Garden Ave. in Webster Groves, Mo. The SPICE CUP Invitational tournament kicks off with a free and open-to-the-public Welcome Ceremony at 1 p.m. on Friday, Oct. 12, in Room 102 of Webster’s East Academic Building, 545 Garden Ave. in Webster Groves. During tournament play, the six competitors will face one another twice, once with black chess pieces and once with white pieces. Updated based on FIDE’s Individual Calculations as of 29 September 2012. 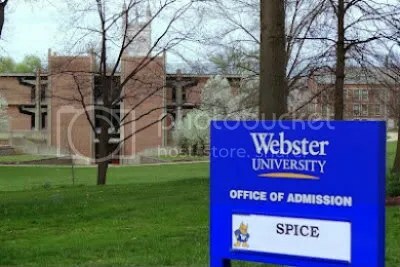 Joining SPICE 2 – B2012 under Coach GM Susan Polgar and be enrolling @ Webster University, St. Louis, MO, USA (under SPICE Scholarship). 7th Blitz “Death Match” Player Announcement! So Wins 7th Blitz “Death Match”! Other participants are Le Quang Liem, Nguyen Ngoc Truong Son, Ding Liren, Gupta Abhijeet, Negi Parimarjan, Hi Hua, et. al. For NCFP, Philippines participants are GMs So Wesley, Barbosa Oliver, Antonio Rogelio Jr, Paragua Mark, Gomez John Paul, Laylo Darwin, Torre Eugenio and IM Garcia Jan Emmanuel. Is Wesley is in the country today? No, he is in the US attending school at Webster U in St. Louis.